Soft and lightweight, this classically tailored flannel shirt is so versatile you can wear it all year long. 80% cotton/20% polyester, 5.4 ounce long sleeve flannel shirt. 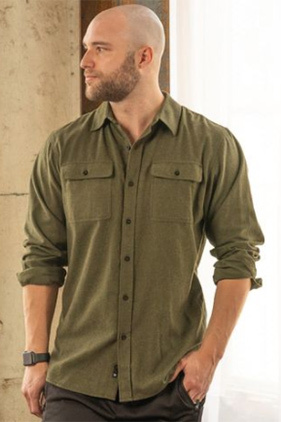 Two chest pockets with button-down flaps. Button cuffs. Hem bottom. Half moon back yoke. Locker loop. Modern fit.